Imagine this: You’re inside, it’s dark out, the fire is on, you have a cup of hot chocolate in your hand, a fuzzy blanket on your lap, and your Dewdrop™ Diffuser is diffusing a magical and cozy aroma with Clove essential oil. Sounds like a great way to unwind from your day, doesn’t it? With its spicy, warm scent, Clove essential oil is the perfect companion for celebratory moments at holiday gatherings, and we want to help you enjoy this comforting aroma all season long. Read on for tips on how to make your holidays even more inviting and meaningful, including insightful facts and practical uses. With its unique scent, Clove essential oil has the power to set the perfect tone for any fall or winter day. It will instantly put you in the holiday spirit, ready to enjoy some hot apple cider. The clove flower bud and plant stem are steam distilled to produce Clove essential oil. Clove is a potent essential oil and is used often for topical application such as in massage oils and personal care products. We recommend adding a drop or two to your hand lotion to keep your skin moisturized during the drier winter months. orange essential oilClove essential oil’s inviting aroma pairs amazingly with other oils such as Cinnamon Bark, Grapefruit, Orange, and Nutmeg. 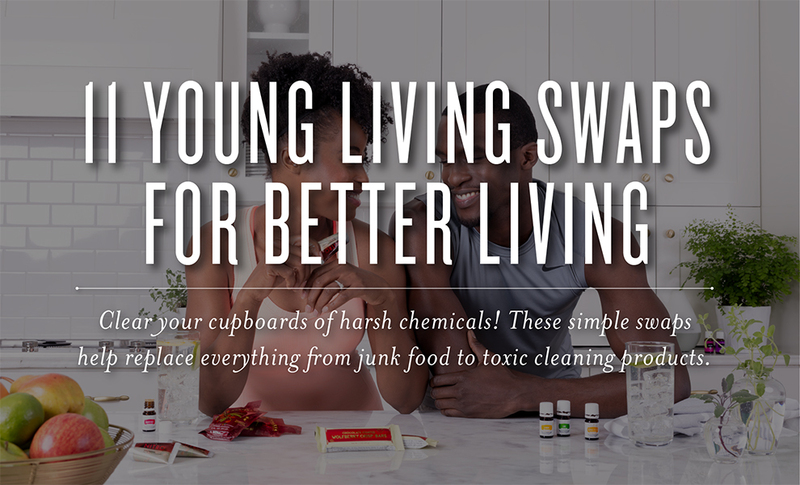 It’s an important ingredient in Young Living’s Thieves® and ImmuPower™. On days when your toes are cold and you can’t seem to shake the chill, draw up a warm bath and add a few drops of Clove for its soothing aroma. Add 3–4 drops to water in a glass spray bottle and use it for a homemade air or linen freshener to ready your bedrooms for holiday guests. V-6 Vegetable Oil ComplexCombine it with V-6™ Vegetable Oil Complex and rub it into your neck and back for a rejuvenating massage and uplifting aroma. Combine 2 drops of Clove with 6 drops of Orange and 4 drops of Cinnamon Bark in your diffuser* for a quiet night full of relaxation and gratitude. Now you are ready to show off during the holiday season with your Clove expertise! *Check your diffuser’s oil drop count recommendations and change as needed. Want to be an EO expert? Check out our posts on Patchouli and Vetiver to learn even more about your favorite essential oils. Excited to fill the air with Clove and its warm, welcoming aroma? Let us know in the comments below how you plan to use Clove this fall!ake the chill, draw up a warm bath and add a few drops of Clove for its soothing aroma. Cedarwood Essential OilImagine this: You’re inside, it’s dark out, the fire is on, you have a cup of hot chocolate in your hand, a fuzzy blanket on your lap, and your Dewdrop™ Diffuser is diffusing a magical and cozy aroma with Clove essential oil. Sounds like a great way to unwind from your day, doesn’t it? Excited to fill the air with Clove and its warm, welcoming aroma? 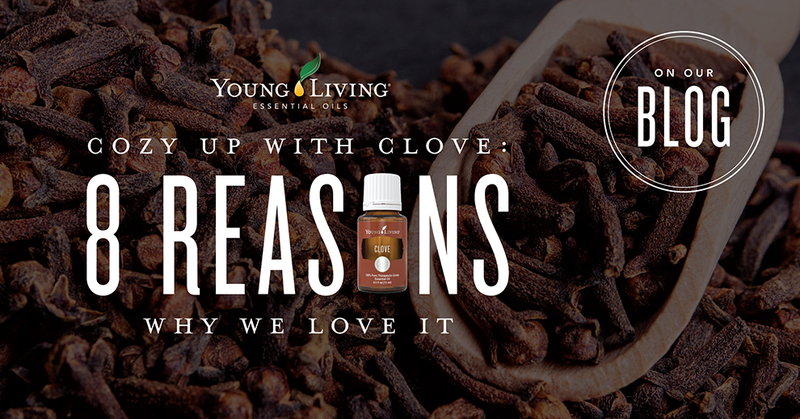 Let us know in the comments below how you plan to use Clove this fall!and rub it into your neck and back for a rejuvenating massage and uplifting aroma. Grocery store salad dressings are full of all sorts of questionable ingredients these days—not to mention excess fat, sugar, and sodium. Use these recipes to whip up your own and feel good knowing exactly what’s in them, plus enjoy incredible essential oil flavor. The best part? 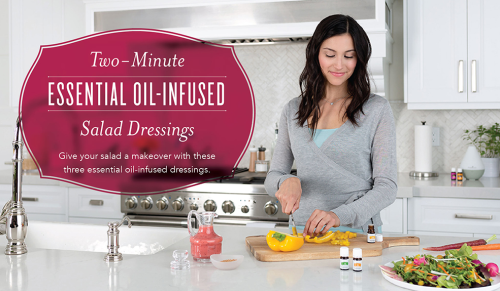 These homemade salad dressings will be ready in less time than it takes to heat up that frozen burrito. Woo Hoo!! !